Chatty Cafe is coming. From Tuesday, June 12th Duke's Cafe at The Wellington Centre will have a Chatter Natter Table. Anyone can pop in, buy a drink and have a chat at the Chatter and Natter table. Volunteers will be sitting ready to give a listening ear. You'll know the table because it displays the Chatter and Natter poster. 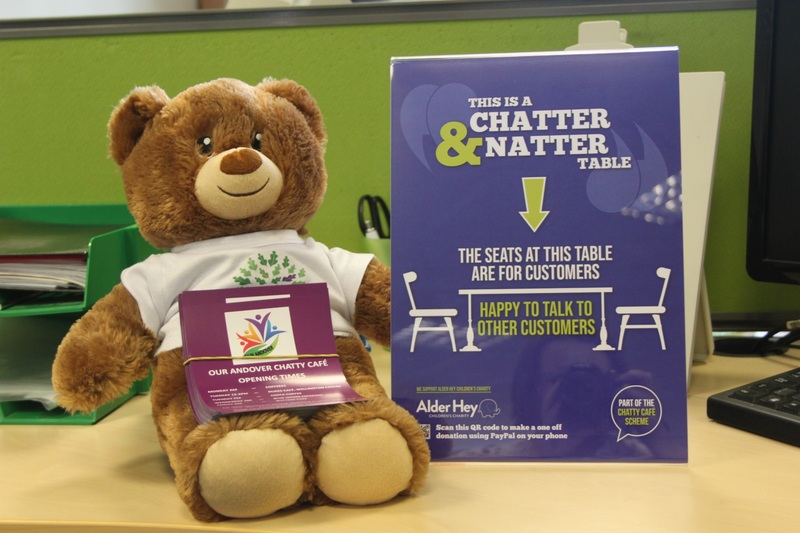 A Chatter and Natter table is a national scheme to help combat loneliness and boost community spirit. David Coole co-director of by the newly registered CIC Our Andover brought the scheme to Andover. David Coole said "The national chatty café scheme was born out of the late MP Jo Cox; one of her visions was to try and get the community spirit back up and running. We were doing a lot of research for OUR ANDOVER and Jo (Coole) picked up on the idea of how do we get people to talk to one another and break down this loneliness? Jo would often sit in a coffee shop and see people sitting on their own and think ‘do they want to talk to people?’ People that Jo spoke to said they wanted to sit there to be around people and they did want to speak to people. Andover and District Mencap are very excited to be part of the scheme. "To be part of the Chatty Café scheme is important to us. Our members love to talk and share their tales. Through Chatty Café they can meet new people, brighten lives and continue our journey of integration."